Croatian startup MediaToolKit started as a social media monitoring web app targeted towards journalists. Journalists from blogs, newspapers, video outlets and other media resources can tap into MediaToolKit and discover trending content on Facebook and other sources from their competitors. Southeast Europes netocratic.com called it a “spy tool”. Media Toolkit’s Ivor Bihar was on hand at TechCrunch Disrupt New York after the startup competed in the WebUp startup competition as part of the webfest.me conference last fall and won a trip over to the United States to present MediaToolKit to the US here at TechCrunch Disrupt. 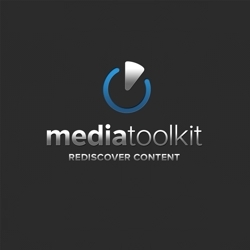 Over the last few months MediaToolKit has continued to iterate. Now they offer a suite of tools for journalists, hence the name Tool Kit, including press clippings and alerts. The startup comes out of Zagreb based social media agency iStudio.